Hi Valorie! Thank you so much for the book, The Brief Wondrous Life of Oscar Wao, by Junot Diaz. It has been high on my list to read—that was a perfect choice. My daughter is studying the 60’s so we’ve been exploring the different aspects of the culture—how I missed communes is beyond me! This sounds like it might be interesting for them to read since the author makes the comparisons between the past and not so distant future. Hi, Lynne, I’m glad you like the book, I hope you enjoy it! 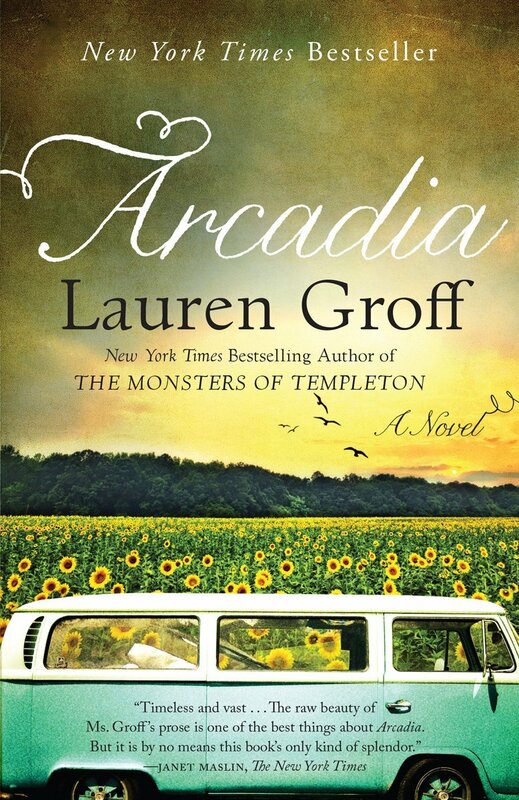 I just picked up her first book from the library today, The Monsters of Templeton and am keen to read Arcadia as well, thanks for the tip about the documentary. I also read a really great review about her short stories Delicate Edible Birds I think its called. I look forward to how you find this one. Thanks, Claire. Now that I’ve read one of her books, I think I’ll have to read them all. And even back then, it was only a minority who felt that way. This was so interesting. I’m looking forward to reading the book and seeing the documentary. I really like what Groff said about how we’ve moved too far away from the idealist 60’s philosophy, which has led to some of the huge environmental problems we are facing today.